Water heaters are one of the most pleasurable luxuries we have in the modern world. Hot water cleans dishes more efficiently, let’s us do warm and hot loads of laundry, and, most obviously, allows us to enjoy comfortable baths and showers. So when your hot water goes away, it’s obvious very quickly, isn’t it? The moment you turn that faucet lever to the left and the water doesn’t get warm, you know that something is wrong. 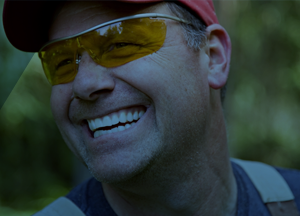 Give our handyman service a call and we’ll come take a look at it and tell you what’s wrong. It may be that we can fix it, in which case you’ll have your water back in no time. But if your water heater has gone to the big appliance store in the sky, it’s time for a new water heater. You might be thinking that water heater installation is easy. Not so. Frankly, it’s something better left to a professional. Here are a few reason why it’s important to have a professional handyman or professional plumber with your hot water heater installation. When you hire someone to handle your water heater installation, you don’t have to worry about transporting it from the hardware store to your home, through your home’s doors, down the stairs, and into your furnace room or closet. There’s a glass lining inside the hot water heater that can be broken during transportation, and if you break it then you’re out many hundreds of dollars. If we break it, it’s our problem. This is, as always, the most important reason to hire a professional to handle any handyman services you need. We have extensive experience installing hot water heaters, while the average homeowner might only have to do it once every 10 years. We will ensure everyone’s safety during transportation as well as during loading and unloading. We’ll also use the proper lifting and unboxing techniques so that all of the workers remain safe. Of course, the installation itself is incredibly important. It’s especially vital when you’re dealing with a gas water heater, because you don’t want to have any bad pipe fittings that could lead to a natural gas leak in your home. What Are The Local Codes? You might think that you can simply remove the old water heater and replace it with the new one, hooking everything up the exact same way in the process. But what about code? Building codes are changing all the time, and if you simply replicate what was there before you might not be following code. Not following this code could cause a safety issue as mentioned above. This could also cause you to have to call a plumber to fix the problem before you are allowed to sell you home. 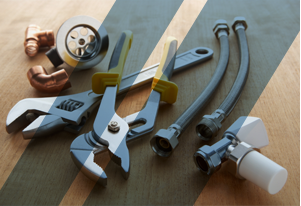 Because we offer handyman services that deal with houses in and around the Bedford Hills area, we’re always checking out the code changes and can make sure that any home improvement projects we undertake are up to code. 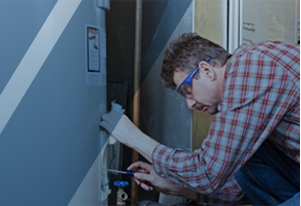 At Home Maintenance Solutions, we’re ready to help with dozens of fixes around the house, including offering you the safest water heater installation around. Contact us at the first sign of trouble!